Half Clouser Minnow - half Lefty's Deceiver, and fully effective for saltwater fly fishing. 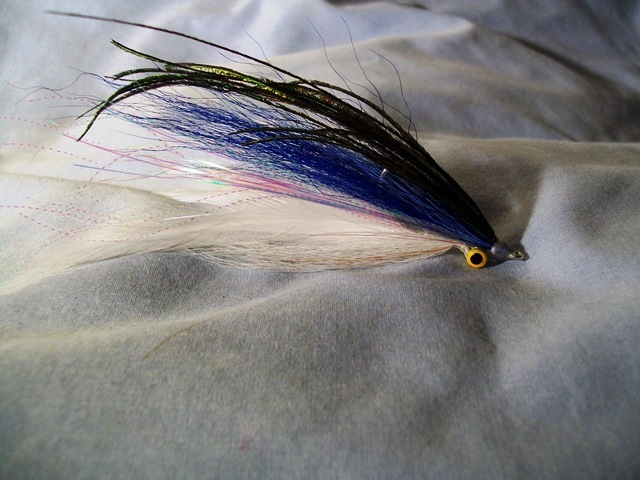 Natural bucktail wing, and peacock herl topping increase appeal. This is a great Sand Eel imitation. Everything eats sand eels. Sand Eel patterns should be in every fly box. 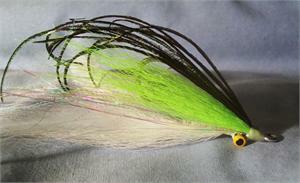 Tied on 2X strong duratin hooks in sizes #2 - 8/0. 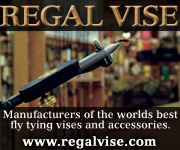 Merrimack River Flies sells quality, hand-tied flies. 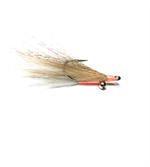 Use to fish for Striped Bass (stripers), Bluefish, Sea Trout, Bonito, False Albacore, Tarpon, Peacock Bass.